Bin el Ouidane, Atlas Mountains, Morocco. Our client chose the template design and provided us with the texts. We produced the rest of the content (graphics, photos, videos) as well as assisted the client with purchasing of domain name and hosting. We took part of the planning of this web site and later we supported the client with photos, graphics, blog and a newsletter engine. 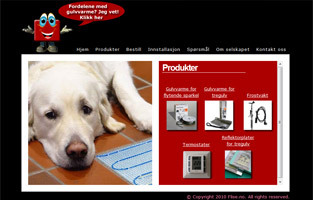 We will also help out in translating this site from Swedish to English. 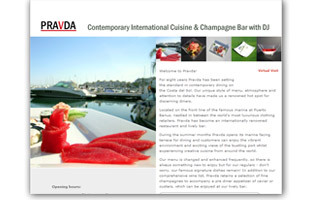 One great restaurant on Costa del Sol is Pravda. While working in Spain in 2008 we used to eat at this place. It lead to us doing photos, both 360° and stills as well as a web page. One day we were traveling from Fez to Marbella via Tangier and ended up at La Tangerina. The result was a new website, bunch of photos, a video, a flyer and new friends. And, getting to know the most lovely riad in Tangier. Private Villa for Sale (SOLD). 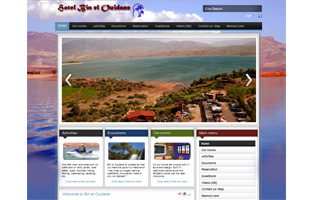 The owners wanted to sell their villa privately and therefore asked us to provide a web site for them. So, we did. The client picked out the template and provided the texts. This villa/mansion is not for sale, not for rent. It is a lovely place located in the Atlas Mountains. 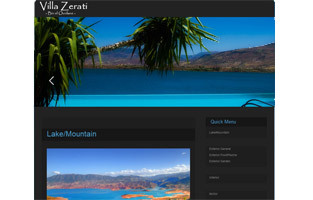 The owner picked out the template and we did the rest... domain, hosting, production, photos. 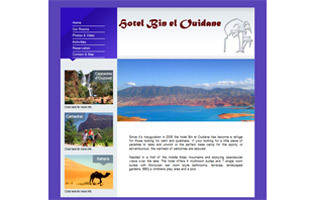 We delivered a web site to Flise.no where the client chose a free template. Text were provided. Grahpics and photos produced by us. The Vikings wanted a CMS system so we made a nice looking Joomla site for them. The beauty with CMS (Control Management System) is the freedom of making changes on the site. They can change just about whatever they like, almost like FaceBook. Or not. Well, one gives another. 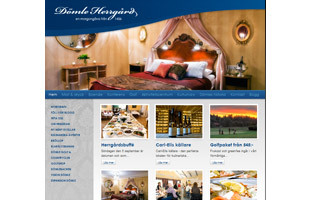 After delivering the Viking site it was time to create another Joomla site. Graphics and photos are produced by 360 Factory (Michael).